at the Chickasaw National Recreation Area. Rolling down the road is one of our favorite pastimes. But eventually all rides must end. And that's when the destination takes center stage. So where to go? A restaurant? The local dealer? What about a nearby nature trail? It's a perfect way to stretch your legs, spend some quality time with your family, see some of our state's most beautiful scenery and it's cheap! Here are a few of our favorite spots to take an al fresco stroll. Did you know there are 500-year-old cedar trees on the shores of Keystone Lake? It's true! You'll find them in this area operated by the city of Sand Springs. It offers more than 1,300 acres of forest with well marked trails. Drop by for a relaxing stroll or take advantage of one of the many scheduled hikes they offer. To learn more visit the Sand Springs website or follow them Facebook. We told you about this unique area between Tulsa and Catoosa last April. It's still a great destination and a fun road on a sunny Saturday. Instead of repeating myself I'll let you read all about it here. This park is located at 5000 W. Memorial Road in NW Oklahoma City. There are 144 acres to explore here and it's not uncommon to see deer, owls or even an occasional coyote. The park is open 51 weeks each year so your chances are good. For more details go here. 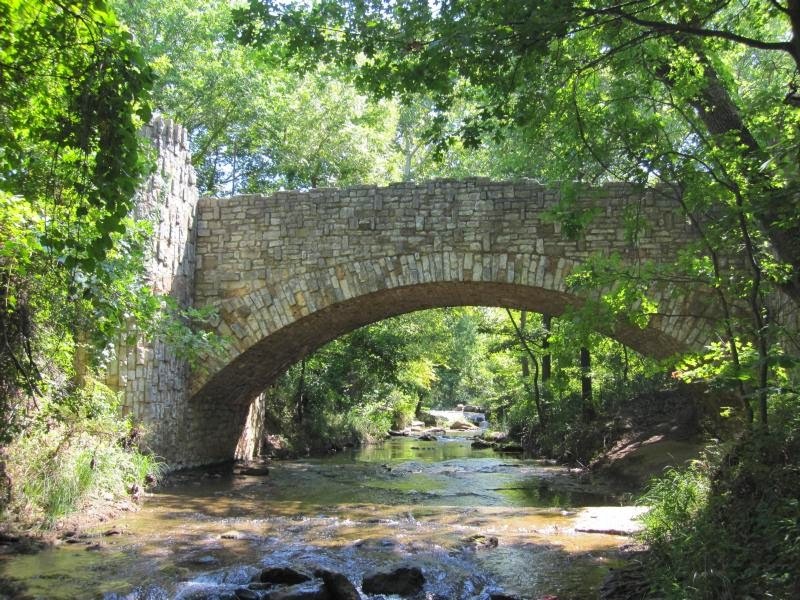 Located near Braggs this is one of Oklahoma's original state parks. The network of trails around Greenleaf Lake are a popular destination for serious hikers. Those less inclined to march 21 miles (yikes!) may prefer to stick to the shorter trails within the park. Or rent a cabin and make an overnighter of it! This former national park offers some of the most scenic hikes in Oklahoma. Nestled in the Arbuckle Mountains it's a haven for fisherman, hunters and serious RVers. The landmark Lincoln Bridge was dedicated in 1909 and is one of many historic sites you'll find on the 30 miles of hikinng trails. Go to www.nps.gov/chic to learn more.